Bad enough his administration is a sieve, embarrassing accounts of bungled phone calls with foreign leaders and cheeseburger-fueled rants with cronies regularly showing up in the news. Bad enough top aides keep fleeing his White House like it’s on fire. 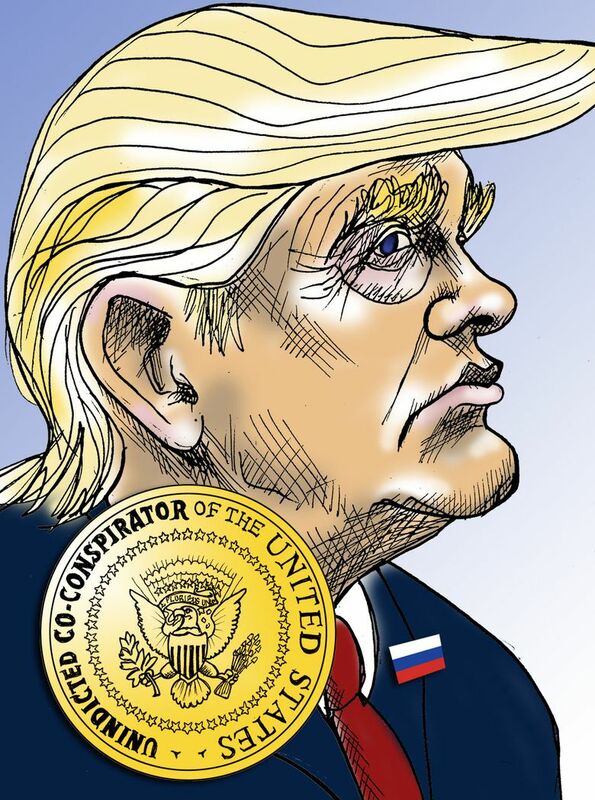 Bad enough his ex-lawyer has named him an unindicted conspirator in a campaign finance felony. Bad enough, all that. Now there’s this. Meaning, of course, last week’s publication by The New York Times of an anonymous Op-Ed by a person the paper describes as “a senior official in the Trump administration whose identity is known to us and whose job would be jeopardized by its disclosure.” The writer tells us that he or she is part of a large cabal of officials working to subvert some of Trump’s plans and to frustrate his crazier inclinations. As if the First Amendment were repealed while we weren’t looking. As if the Times has the writer stashed in a newsroom closet. But at least Trump was unconflicted. Frankly, it was hard to know what to feel after reading this essay. Another way of describing a “two-track presidency,” after all, is to say that America has undergone a de facto coup. It’s possible to be deeply concerned about that — Just who’s running this country? — and yet grateful somebody is standing between us and Trump’s meatheaded ideas. And it’s possible to be both those things and yet appalled at this person’s failure to be as large as the crisis demands. To the contrary, he or she shows the jellyfish spine and bunny rabbit bravery common among Republicans these days. Real courage would’ve required the writer and the “many Trump appointees” he or she says are part of this to quit their jobs en masse, find a public forum and speak the obvious truth without hiding behind the cloak of anonymity. Namely, that this tantrum-throwing child is unfit to govern. Instead, we get this anonymous rationalization. It impressed MSNBC host and former Republican Rep. Joe Scarborough, who wrote that we should be grateful to these people for stopping Trump from “creating an existential crisis for the country.” Which is laughable. Trump is the existential crisis, but they’re OK with trying to manage it from behind the scenes because tax cuts.